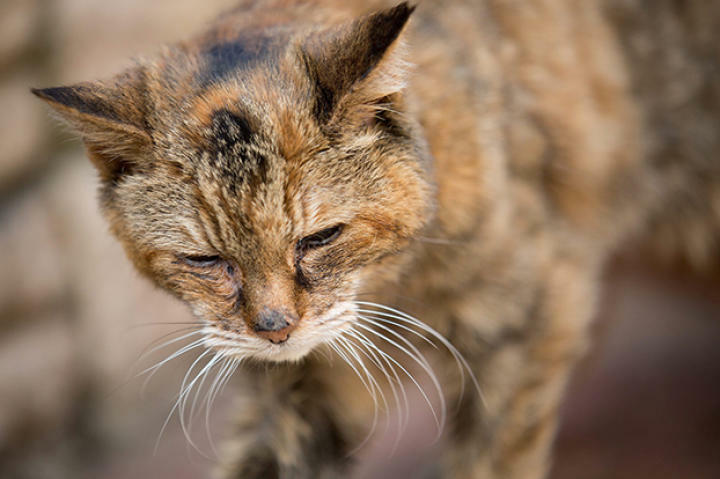 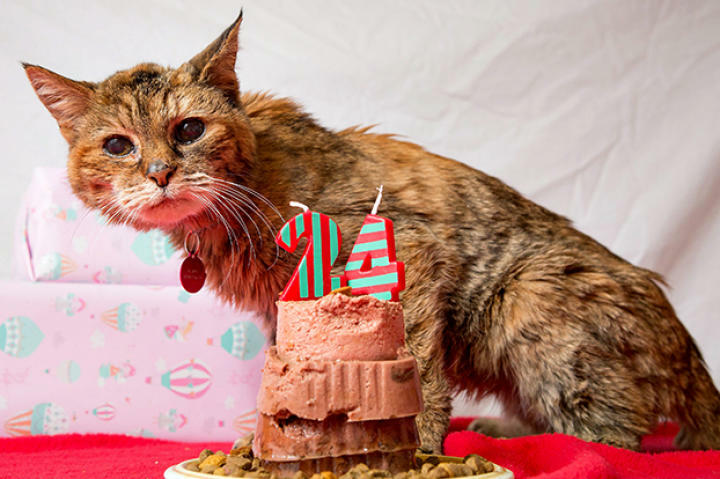 Poppy the cat at age 24 was crowned the world's oldest living cat. 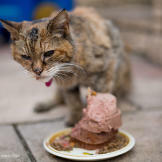 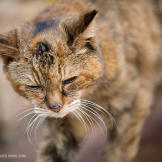 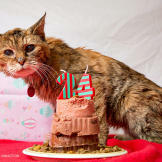 1 Poppy the cat at age 24 was crowned the world's oldest living cat. 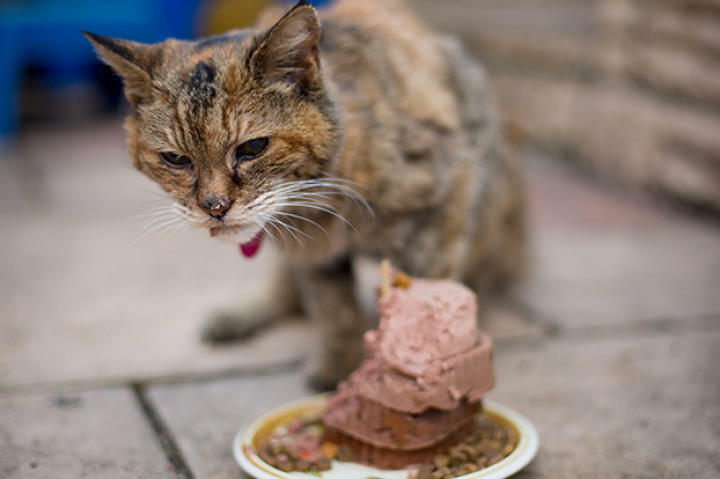 4 She also loves kebabs and fish and chips. 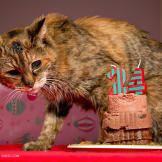 5 Cheers to 24 more years! 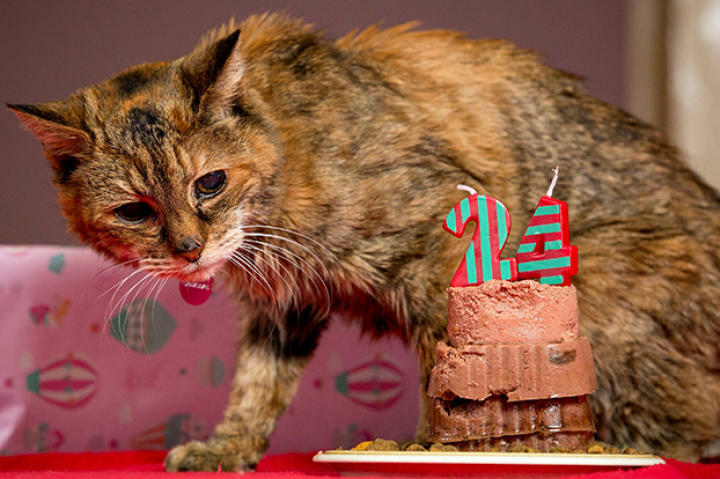 Congrats, Poppy!